Fancy climbing up a giant crisp? 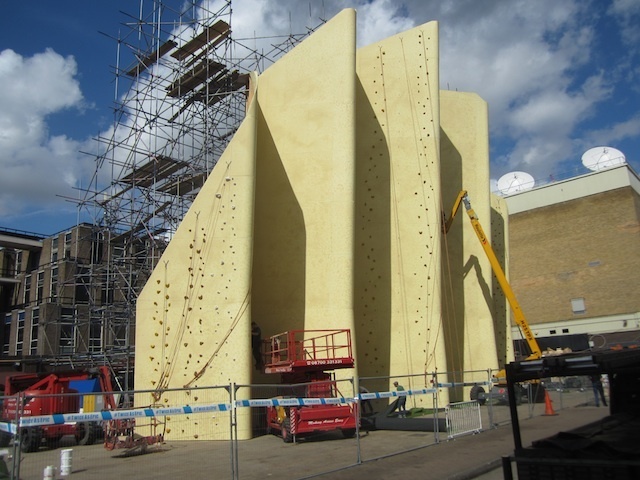 The finishing touches have been made to this monster climbing wall in Ely's Yard, Old Truman Brewery in Spitalfields. The promoters reckon it's Britain’s tallest outdoor freestanding climbing wall. It's also shaped like a massive crinkle-cut crisp, as part of a promotional stunt for a new Walkers line. The wall opens tomorrow (30 August, 12pm-8pm) and will stick around until Wednesday 5 September (Sun-Wed, 12pm - 8pm), assuming no one eats it. The snackish ascent is free.